Warranty • Ekowood Malaysia Sdn. Bhd. Ekowood’s warranty applies to all of our engineered hardwood floorings, 3 ply long strips and planks used as residential flooring. However, installation instructions accompanying products must be followed. This warranty is not transferable and extends only to the original end-consumer. Warranty date commences from the date stated in the warranty registration form. The UV Acrylic Lacquer finishing for Ekowood floorings are guaranteed against surface finish wear through 10 years from the date of original purchase. If found defective, we will at our option; refinish, repair or replace the defective area. This warranty extends only for wear area which covers at least ten percent (10%) of the surface area of the installed floor. Ekowood flooring is constructed using a bonding system with each board compressed under high pressure and intense heat to ensure quality. This warranty covers the structural integrity of every board whereby Ekowood flooring will not detach between its layers. Flooring improperly installed according to Ekowood installation instructions. Maintenance not in accordance with the instructions and recommendations found in the Ekowood Floor Care Guide. Damages caused by accidents such as indentations, scratches from sharp objects or dulling of the finish are not covered under this warranty and gloss reduction is not considered surface wear. Our products are warranted to perform in normal residential applications. Any exposure to excessive heat or moisture may cause damage to the flooring and is not covered by warranty regardless of cause or source including but not limited to damage caused by insects, floods, plumbing leaks and high or low humidity. 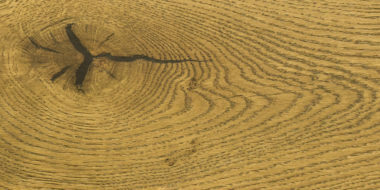 Cracking or checks of the wear layer caused by low humidity or dryness is neither a visual nor a manufacturing defect. Excessive humidity causes cupping or buckling, so it is important to use an air conditioner or dehumidifier in humid months. Expansions and contractions are not considered defects and are not covered by this warranty. Damages caused directly or indirectly by misuse, accident or use that is not consistent with what is considered normal residential applications. Alterations to any Ekowood flooring product will void any and all expressed or implied warranties, including merchantability or fitness for particular purpose. No warranty is provided to cover alteration due to repairs or resurfacing by end user. Repairs or replacement by Ekowood representatives shall not extend warranty period. Ekowood is a natural and living product. 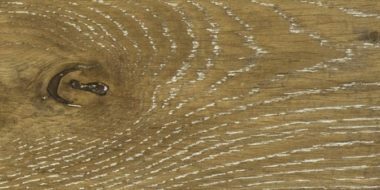 Variations in color, grain, pattern and/or texture normally occur in the original materials; mineral streaks and small knots are also natural wood characteristics. These are not defects and no warranty shall apply thereto. 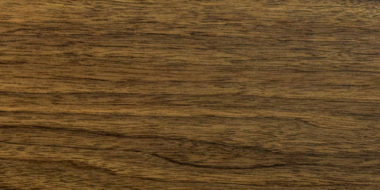 Installed flooring will change in coloration over time and this is also a natural characteristic of wood products for which no warranty is provided. Exposure to direct sunlight or partial exposure (eg. Area rug or furniture placement) may cause color variations and is not covered by warranty. Due to the characteristics of Kempas, Maple, Pecan, Jatoba and Beech, we do not warrant them to cover radiant heated subfloor. 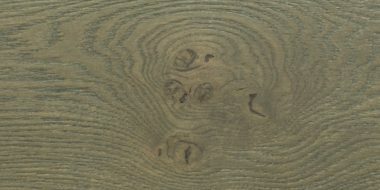 If a design for which a claim is made is no longer available, Ekowood will replace the affected floor materials with another design of equal value. Please note that due to natural variations in hardwood flooring, even if the same design is available, the replacement of a defective area may not result in an exact match. We shall in no manner be obligated to provide for or incur the costs of removing or re-installing the defective flooring or resurfacing or refinishing replaced surrounding flooring or to provide for the cost thereof. No obligation to replace or repair shall extend to any sub-floor materials, adhesives, supplies or other items consumed in the course of removal, installation or refinishing. This warranty applies only to Ekowood residential flooring products and covers only such products purchased on or after the date of this warranty. The warranty is limited to the original purchaser. The warranty is not transferable and is extended only to the original consumer purchaser and for the original installations. All warranties expire upon sale, transfer or relocation of the installed product or installation location. Under no circumstances shall Ekowood be liable for any loss or damage arising from the purchase, use or inability to use this product, or for any special, incidental or consequential damages. Ekowood warranty excludes and will not pay consequential or incidental costs associated with any repair or replacement. We disclaim liability for incidental and consequential damages for breach of any express or implied warranty and disclaim all other express or implied warranties, including any implied warranties of merchantability, or warranty of fitness or a particular purpose, with respect to Ekowood products. This warranty constitutes the entire agreement of the parties, and no waiver or amendment shall be valid unless in writing and signed by an authorized Ekowood representative.